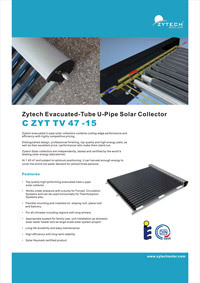 Solar Thermal Products: Home and Commercial applications Production, system solutions and accessories. 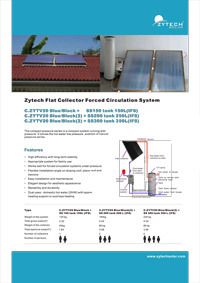 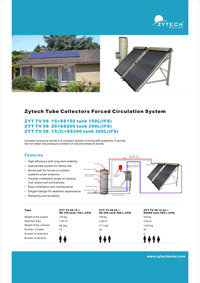 The aim of Zytech Solar in the field of Thermal Solar Energy is to contribute solutions for the present and the future, by offering a wide range of efficient and reliable products that will completely satisfy the needs of Sanitary Hot Water (SHW) requirements, by means of a system as simple as it is energy saving. 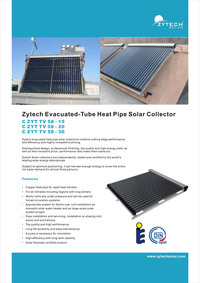 We design and manufacture our own solar thermal systems. 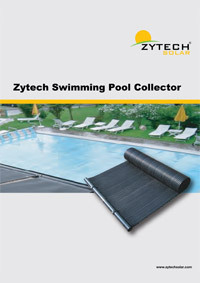 We have successfully established a manufacturing process by adopting advanced European manufacturing technologies. 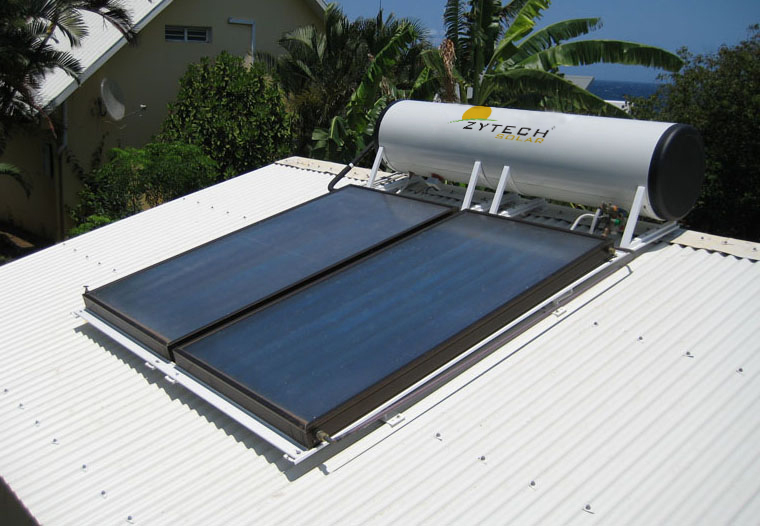 We offer solar therma systems and products which are easy to install and integrate into homes and commercial places, almost without maintenance requirements and that allows the owners to obtain hot water even on cloudy days. 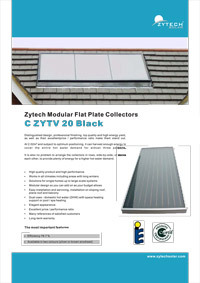 Zytech’s modular flat collectors are outstanding thanks to their innovative technology and for their great absorption capacity which is due to the use of titanium in the cover. 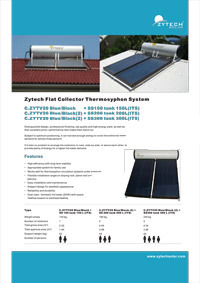 The design also makes allowance for an optimum installation both on sloping roofs and on flat surfaces. 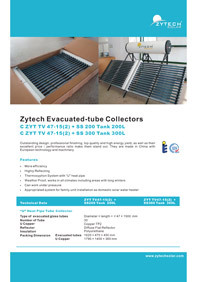 Zytech’s heat pipe evacuated tube collectors are at the leading edge of this generation of collectors that implement this type of technology. 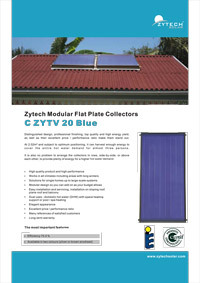 Highly efficient even without direct sunshine, also highly productive, and have a long service life maintaining good conditions. 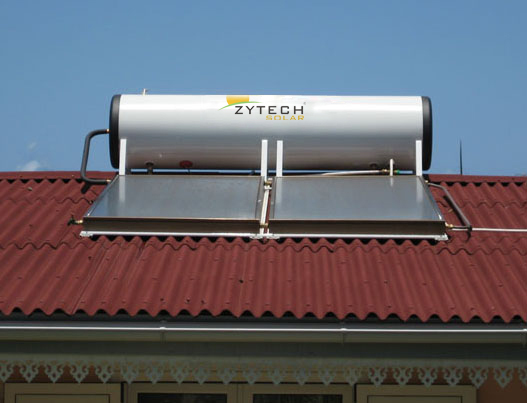 Proper isolation and protection from corrosive elements guarantees our storage tanks will have a long and useful life with a completely safe operation.